Majid Zand Miralavand was Chief Rep of Iran Dubai Islamic Bank ( DIB ) and Head of Iran Coverage for Millennium Finance Corporation ( MFC ). Chartered Bank in Iran from 2000. From 1979 to 2000, he was an expert, assistant manager and manger of Finance and International Dept, of Bank Sepah in Tehran and Paris office. He recently advised, along with MFC Telecom team, the government of Iran in sale of the third Mobil license. He also managed and worked on more than 25 strategic projects finance transactions. He also has very efficient experiences in all Islamic and conventional banking products. 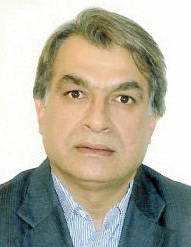 Majid holds a BA in Economics from the Tehran University and MA in Econometric from Louis Pasteur University, France. Corporat banking, trade finance, project finance, market developing. March 1983 – January 2000 (16 years 11 months) Paris Br.